Thank you Drizly for sending me some great bourbon for making this amazingly refreshing holiday cocktail. The recipe and opinions expressed here are my own! 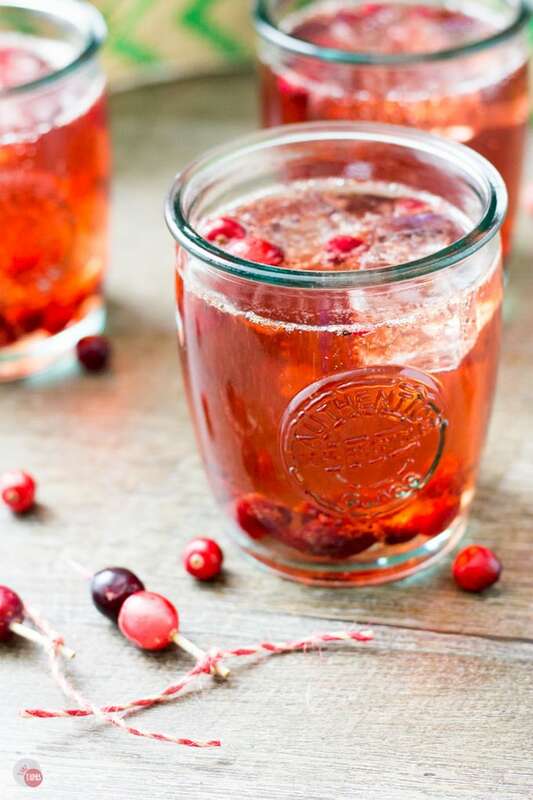 Roasted honey cranberries pair nicely with tart cranberry juice, caramel hinted bourbon and bubbly lemon-lime soda. 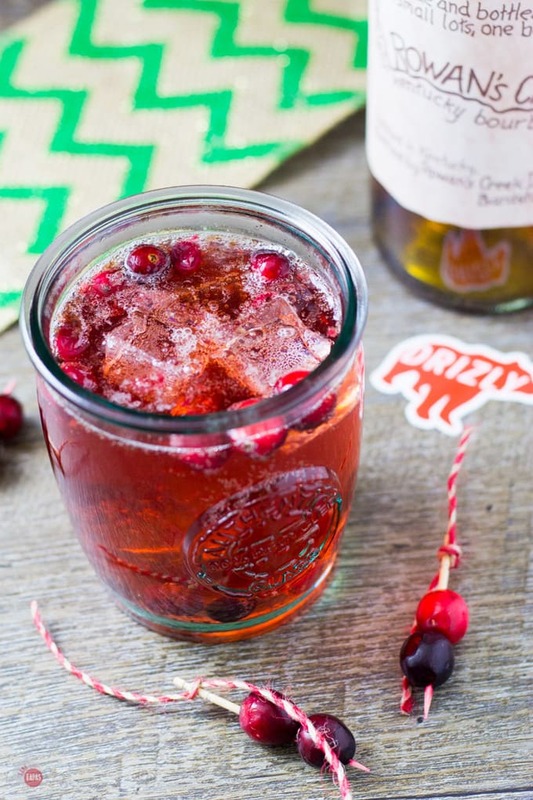 This Cranberry Bourbon Crush is perfect for a large batch of punch at your holiday party! Cranberry juice is the base of so many of my cocktails it is not even funny. I think I buy more cranberry juice than anything else and I have to say that I never drink it straight. It is way too tart on its own, even the juice “cocktails” that you get at the store, that I usually have to pair it with something. That something is usually vodka and lime. Go ahead and say it… Vodka has no taste and lime is tart too, you idiot. Not in a cocktail, though. It magically becomes sweet and the perfect drink combination! Okay, it’s probably still tart but I love it anyway! When the hubby and I went to Kentucky for the Derby in 2014 bourbon was everywhere! I even went on a tour of a bourbon distillery and had a few tastings. I wasn’t a huge fan I have to say. Bourbon is definitely an acquired taste. One that I am acquiring rapidly thanks to a bartender. I really needed to start since the hubby has been collecting for a few years and now has quite a collection. While we were in Kentucky I did have to try some. One of the bartenders suggested adding a little something tart and sweet to help me ease into it. He had a raspberry ginger ale on hand behind the bar so I gave it a shot. All I can say is WOW! That hint of raspberry and the little sweetness from the ginger ale had me hooked. The hubby still likes his neat or with one ice cube (a fancy round one) but he did try my cocktail. He gave it a thumbs up. Ever since then I have been experimenting with bourbon to see what else I can pair with it to make a fun cocktail that I can drink alongside the hubs. While playing around for Cranberry Week I decided these Honey Roasted Cranberries from my Crostini were the perfect addition. Now you can make one batch and have a cocktail and an appetizer! Given that the hubby is protective of his bourbon collection, he is not a fan of me experimenting with it. Especially if he is not sure of the outcome. No wasted bourbon in our house! Time to grab a bottle of my own so I can stay out of his. Not wanting to leave the house I jumped on my new favorite website, Drizly! If you have never heard of it before, get ready! It is an alcohol delivery service. Yes, you read that right. An alcohol delivery service. Hop on the website, purchase from their extensive inventory, and it gets delivered to your house! Yes, to your house!! You can stay in your pajamas with no judgment! I certainly did. Just searched for bourbon and added it to my cart right there! Hop on the website, purchase from their extensive inventory, and it gets delivered to your house! Yes, to your house!! You can stay in your pajamas with no judgment! That is my kind of delivery service! Check out their website and see if they have partner stores in your area and sign up. No more hiding from fellow church-goers in the liquor store or avoiding the wine and beer aisle in the grocery store. Drizly is also helpful when planning that holiday party and you need to stock the bar. Order everything from one place and they even bring it in from the car! Bonus! Drizly had an awesome bourbon selection so I grabbed a bottle of one that the hubby didn’t have (trying to make him jealous) and decided to start my own collection. He’s not allowed to drink it unless he is very nice to me:) I mixed my bourbon with some cranberry juice, some of these amazing honey roasted cranberries, and a bit of Cranberry flavored Sprite. The Cranberry Sprite is only around in my town during the holidays so if you can’t find it, regular Sprite or other lemon-lime soda will do. Check out Drizly to see if your area is covered! Then after that, whip up a batch of this amazing Cranberry Bourbon Brush cocktail! It also goes great with leftover turkey and mashed potatoes. Or pizza if you are sick of turkey about now. 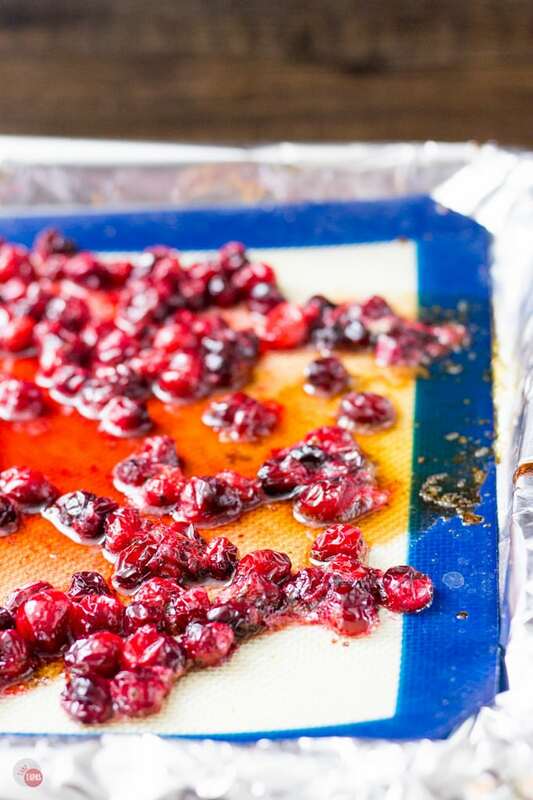 Combine the cranberries, honey, and balsamic vinegar. Pour onto a parchment-lined baking sheet or one with a silicone baking sheet. Bake for 20 minutes or until they start to burst. Remove and let them cool for a few minutes. Store in an air-tight container for up to 3 days. Combine the Bourbon, cranberry juice, and cranberry soda. Stir in the roasted cranberries. Divide between two glasses with ice. This post may contain affiliate links. I may earn a small commission for my endorsement, recommendation, testimonial, and/or link to any products or services from this website. Your purchase helps support this blog, at no additional cost to you, and allows me to continue to bring you delicious recipes. I like the idea of making this punch for a party or large gathering. Will definitely have to try it. 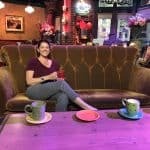 Jen, love visiting your blog around the holiday. It is like one stop recipe for all my entertaining!!! Sharing, of course! 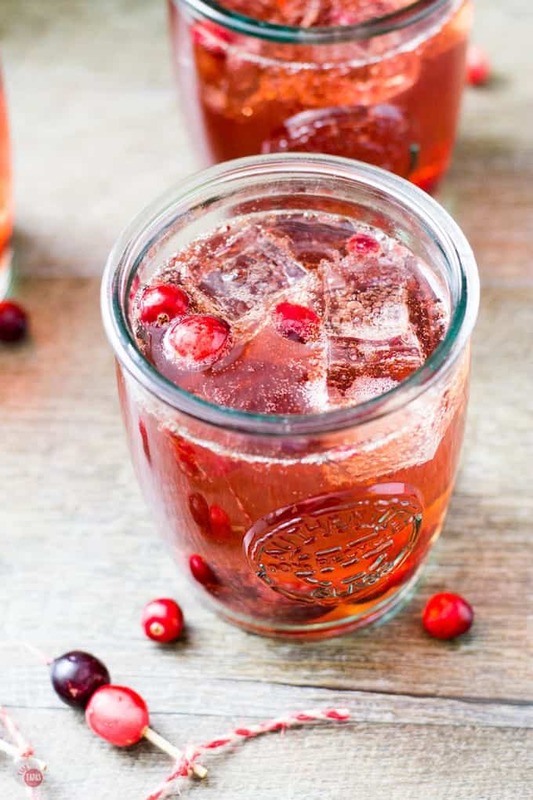 I must try some roasted cranberries, whether for yummy drinks like this or other dishes! Make a huge batch I have been using it for everything! Love that you use roasted fresh cranberries in it. I’m rarely a bourbon drinker but this recipe has me looking in my liquor cabinet to see if we have any. I’m not really either but with the sweet and tart cranberries it makes it so good! I like to make great food in smaller portions so I can eat as much as I want. Wanna know more?